Data stored on business systems is an asset – and a liability. Like any asset, it’s worth protecting, and like any liability, it’s worth mitigating. From customer credit card information to personal identification numbers, email lists, internal policies, product/service roadmaps, and intellectual property, confidential data is stored on nearly every computer and server, meaning these systems are vulnerable in the event of accidental loss and are high-value targets for hackers and data thieves. The good news: It doesn’t have to be this way. … hackers breached your system security and captured your customers’ payment information? … an employee accidentally forgot their laptop on a business trip and it fell into the wrong hands? … a thief stole a laptop containing confidential product roadmap information? … a hacker gained access to information regarding a product in development, then sold it to a competitor? … your data security protocols got breached, compromising secure confidential information, and you end up facing a lawsuit? The best way to protect data stored on servers, desktops, or laptops is to encrypt it at the hardware level on a device’s storage drive. This is just one of many standard data security steps, but it’s critical – and often overlooked. The reason: New systems often come with low-grade, preinstalled hard drives, which often lack encryption technology. Or, if the hard drive offers encryption, it’s typically software-based, which is one of the weakest forms of encryption and may severely slow system performance, plus it’s also easier for hackers to attack. Here’s why. Self-encrypting drives use an encryption engine built into the SSD’s controller to encrypt every file stored on the drive. 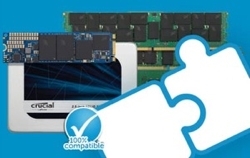 Crucial MX-series SSDs include a state-of-the-art 256-bit AES encryption engine so performance doesn’t suffer. Because of the inherently faster technology in SSDs, you can perform everyday storage tasks 6x faster than a hard drive* while simultaneously improving data security. Improving data security requires extra precautions, but it doesn’t have to be hard or expensive. What’s really expensive is losing data that your business has a legal obligation to protect. 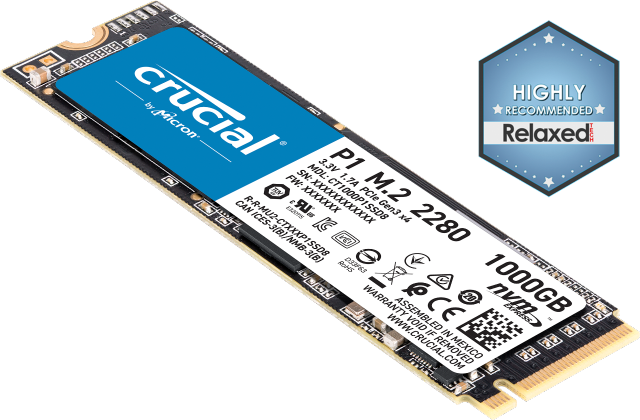 Crucial MX-series SSDs utilize top level, government-grade AES 256-bit hardware-based encryption that meets or exceeds all industry encryption standards, including Microsoft® eDrive, IEEE-1667, and TCG Opal 2.0. Protect your data by swapping out vulnerable preinstalled hard drives, and start encrypting your data at the highest level and working 6x faster. Your data is an asset and a liability. Guard it. And get the most out of it.